A secret past that she wasn't aware of puts Veronica Speedwell in danger after her aunt passed away. Veronica Speedwell is now without family, and as an intruder enters her home and tries to harm her, a Baron saves her life just in time. Even though Veronica seems to be able to take care of herself, the Baron insists that he be her protector. The Baron and Veronica begin a journey to London to meet a friend the Baron believes can protect Veronica for him. During their travel time, the Baron tells Veronica he knows secrets about her past that he can't tell her just yet but will. Veronica isn't too happy with the arrangements of having to be protected, but being interested in what the Baron will tell her makes her stay with the Baron’s friend, Stoker. Not even 24 hours after the Baron left Veronica in safe keeping with Stoker, the pair finds out that the Baron has been murdered. With that news Stoker whisks himself and Veronica away where the murderer who most likely is still after Veronica can't find them. Adventures and danger follow them. A CURIOUS BEGINNING is the first book I have read by Ms. Raybourn and the character Miss Speedwell. The book is interesting but odd with odd characters. Miss Speedwell is very independent and Stoker is a taxidermist who once was with a traveling circus. The characters where Stoker and Veronica make their hiding place are all quite bizarre, but I guess when you are in a traveling circus, that is what you see. A CURIOUS BEGINNING is adventure and murder investigations all rolled into one with some good twists. It was also comical at times. A CURIOUS BEGINNING was a bit different from what I expected, but I kept reading because I wanted to find out who the murderer was as well as to find out what Veronica's secret past was. And....her past was an excellent revelation. It wasn’t a favorite, but I did like Veronica, and the storyline picked up toward the end of the book. In fact, the ending was quite exciting and makes my rating go from my original 3/5 to 4/5. 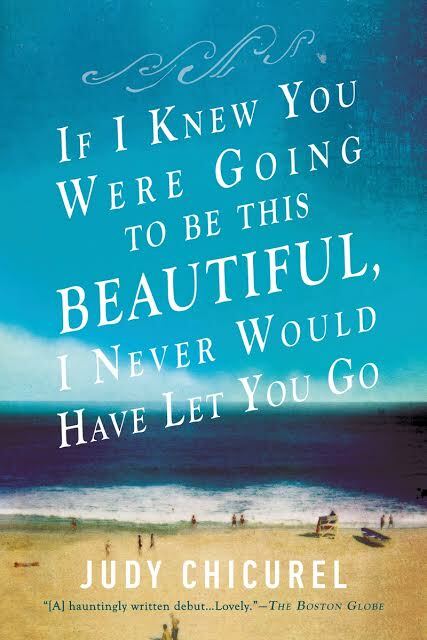 I’m so excited to share with you Judy Chicurel’s IF I KNEW YOU WERE GOING TO BE THIS BEAUTIFUL, I NEVER WOULD HAVE LET YOU GO (Berkley Books; Publication Date: September 1, 2015). Chicurel’s critically-acclaimed collection of stories captures the generational tension of one run-down Long Island beach town, and the turmoil of its young people as they hold the greater world at bay for one last summer. Berkley’s paperback edition is out this week—just in time for those cherishing the last breath of summer. New York Times bestselling author Kate Morton is back on October 20th with THE LAKE HOUSE, a gorgeous and spellbinding tale of family secrets, intertwined destinies, and a lakeside estate in Cornwall, England. It’s an intricate and detailed novel, one that demands the right cover. Lynn Buckley, a jacket designer, took on this challenge. Here’s what she had to say about creating the stunning, imagery-packed cover. Q: How did you come to work on this cover? A: I was given the project by Albert Tang, the Art Director for Atria Books, whose work I have long admired; though I hadn’t yet had the opportunity to work with him. So I was excited about the book itself, but also was excited to work with Albert for the first time. Q: Where did the inspiration come from? A: I looked at the author’s previous covers in the US, and her previous covers in other countries. It’s interesting to see how other designers interpret the same book and author. Then I read the novel, and made note of the tone, and specifics, like what the house looked like and other visual elements in the novel. I also made note of any metaphors or aspects of the novel that might lead to a visual representation. I decided the cover might benefit from a female figure. The house was extremely important in the book. The protagonist is entwined with the house over many decades, and I wanted to convey that somehow. Merging the two images of the woman and house came from that idea. The lake itself was also important, so I wanted to make sure water was also represented on the cover. Q: How many design variations did you go through? A: Quite a few—I tried a woman on her own, on a dock by a lake, without a house. I also tried a few women in water–though they looked like they were drowning. Another variation included a drowned butterfly metaphor for the protagonist, who is age 14 at the start of the novel, and becomes somewhat stuck there due to events in her adolescence. Q: What was the most difficult aspect of designing this cover? A: Getting the basic design right was relatively easy, but getting the little details right was a bit more difficult. All the type on a cover has to be clearly readable, of course, and getting these images to merge well with the type was a challenge. Also, getting the house right was tricky. Though there are thorough descriptions in the book, everyone has a different picture in their head of what is in a novel. I had more of a castle-ish image in my head, but the house was more of an estate-house. So I had to keep getting rid of spires and towers! Brett, Eli, Charlie, and Ladd....all connected and all a part of each other's ​lives and decisions. The background of each character and their lives is marvelously detailed by Ms. De Gramont, and has you wondering if one of them murdered Charlie for personal reasons since Charlie hurt each one of them in some way. ​Ms. De Gramont has an exquisite writing style​ ​that has the reader sharing every emotion the characters are experiencing. THE LAST SEPTEMBER is not an uplifting book, but one that is gripping simply because of the way Ms. De Gramont tells the story. It is a mystery about life as well as a mystery about finding the person who murdered Charlie. THE LAST SEPTEMBER pulls the reader in because of how deeply involved and connected Ms. De Gramont has you become with each character. Joshua's mother, Miriam, was forced into taking over decision making for the family after her husband, Abraham, was hurt in an accident​. This was totally out of character for a woman who was Plain. Joshua endured his father's abuse just because that was the right thing to do when you were Plain. He completely feared his father, but had no recourse but to run away to avoid more abuse since he knew his father would blame him for the accident. Joshua ran away to California and had to deal with and live with the English. Joshua found some good English as well as bad. Miriam had to deal with and live with the reality that her son was gone even though she knew he was not dead, but out there somewhere even though everyone said he couldn't have survived the accident that had maimed his father. In my opinion, Joshua endured more hardships than he had at home and more than Miriam endured even though losing a child is the worst thing in the world. We follow Joshua as he finds work and families to live with. He was a sweet character, but felt guilty about not letting his mother know he was alive. He couldn't let her know for fear of having to face his father's wrath because he would send someone to find him​. Miriam was a dedicated wife and mother even though she lived with the hope her son was alive, but presumed dead. Abraham was a character that I did not like at all. STONES IN THE ROAD takes us into homes and the way of living in the 1800's whether it was a Plain home or an English home. The book dragged a bit, but it was very interesting to see the different, difficult life style of both homes in the 1800's. STONES IN THE ROAD was about family, about hardships, about survival, about choices, and about God's influence in your life. I enjoyed the book for the historical aspect. Ms. Moore's writing style was beautiful along with wonderful description. Gambling debts, robbery rings, and high society​ and​​ ​thugs​ blending together​ for a marvelous read. HOUSE OF THIEVES takes us back to the late 1800's when women needed escorts and ​when ​men were their protectors. The men definitely​ protected their wives and families and​ kept secrets from them as they carried out their days. The secret John Cross kept from his wife​, though,​ was one he couldn't keep for long. When he returned home one evening with bruises and cuts, John had to tell his wife about his "deal" with Kent. The secret he kept was that their son, George, had racked up a gambling debt that he couldn't pay, and Kent came to John with ​a ​deal John wasn't able to pass up. John wasn't able to pass it up because it was a good deal. John wasn't able to pass it up because ​it was a deal that he had to ​accept to ​keep his family safe. If he didn't go along with Kent, John saw what​ Kent was capable of. The deal took every waking minute of John's time and was something he would never dream of doing or being a part of.​ If he got caught, he would ruin his family, but better to be ruined than dead. The characters ​seemed quite authentic. John Cross made me afraid for him, Kent was despicable and ruthless, George made me angry that he would continue to ​do what he did to ​put his family​ in this situation even​ after his father told him he knew​ of his dangerous obsession​.​ Kent seemed as if he were just playing John Cross and his son's debt would never be settled, but John Cross had to keep finding homes and banks to rob so his family was safe. Mr. Belfoure has authored another intriguing, well-​written, captivating​ book. Mr. Belfoure​ pulls you in with his marvelous research and storyline about the life styles of the wealthy as well as the poor during this era. ​If you enjoy being treated to history, an alluring storyline, and an "oh my goodness" ending, HOUSE OF THIEVES will take you there. For fans of Broadchurch, Louise Penny, and Peter Robinson comes a spellbinding new novel from internationally bestselling author Stephen Booth. Welcome to the picturesque English village of Shawhead, where there’s one road in and one road out. And on that road this morning is an abandoned vehicle... with an ominous bloodstain inside. It’s a mystery. It could be a murder. Where -- and who -- is the driver? Whose blood has been discovered? 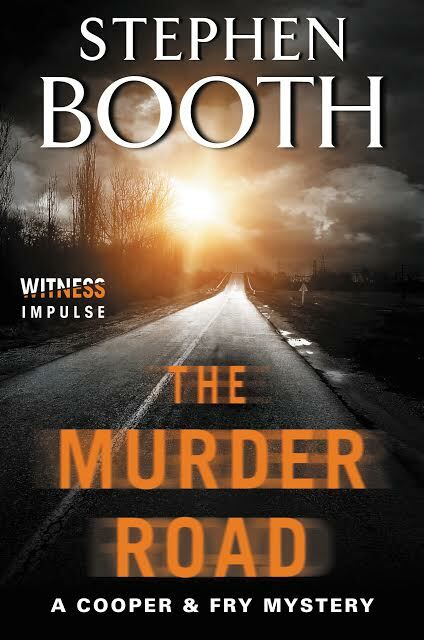 Why are the people of Shawhead so hostile towards Detective Ben Cooper, sent in to take charge of the investigation? As Cooper peels back layers of lies and exposes dark secrets to the light, he draws ever closer to a killer hiding in plain sight. 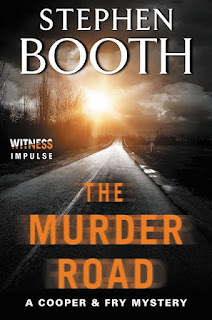 Packed with atmosphere, suspense, and surprises, The Murder Road (On-Sale: September 8, 2015; Witness Impulse; E-Book; $2.99; ISBN: 9780062439239) is Stephen Booth’s most unforgettable novel yet. STEPHEN BOOTH’s fourteen novels featuring Cooper and Fry, all to be published by WITNESS, have sold over half a million copies around the world. The most rewarding thing about being a book blogger is meeting all the other amazing book bloggers. 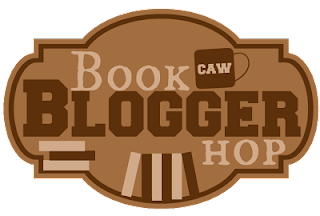 Book bloggers are the most helpful, kind, and passionate people I know. They are there if you have a problem, and go out of their way to help you solve it. The support I received when I first started my blog and the support I receive now as a veteran is simply wonderful. 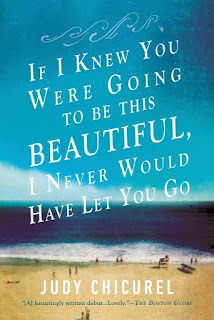 An inherited beach cottage with memories of its own, a beach cottage filled with journals about the life of an unknown aunt, a job as a fashion designer in Milan, and decisions, decisions, decisions. Lily St. Claire had no idea that her father had left her a beach cottage that once belonged to her estranged aunt or why he left it to her especially with all the secrets between her mother and her mother's sister. Lily needed to see the cottage for herself and was curious enough to head to Florida to Sand Pearl Cottage to find out what it was all about. What Lily found was definitely not what she expected. Lily found boxes everywhere that held her aunt's possessions as well as the story about her life that no one was aware of and one that her mother would never talk about. Lily needed to decide if she wanted to stay to uncover all she could find about her aunt or just leave the cottage and head to Milan for her dream job. SUMMER AT HIDEAWAY KEY had a storyline that any women's fiction fan will not want to put down. We meet a number of interesting characters, find secrets that had never been revealed, get a glimpse into her aunt's life, see the decisions Lily must make in her personal life, and see how Lily desperately tries to get her mother to shed some light on why her mother and her aunt never talked for over 30 years. SUMMER AT HIDEAWAY KEY is another marvelous book by Ms. Davis. The characters, the setting, the atmosphere, and the storyline will keep you turning the pages and still want more. It was a glorious read up until the very last word. Ms. Davis has a way of pulling you in and not letting go. There is always something lurking that you "must" know along with a touch of romance. The journals made for an absolutely wonderful read....terrific book. I always enjoy journals. When you read about journals in a book, do you ever ask yourself why you didn't do something like that or if you did leave journals what folks would think after they read them? 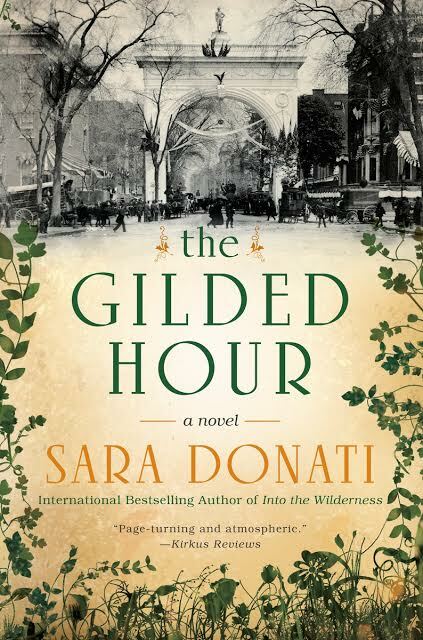 Complete the form below the publisher's book description for a chance to win THE GILDED HOUR.